Daisy Goodall, blogger for AbilityNet, shares 10 great apps that students with vision impairment need to know about. Starting university is a leap into an independent and self-reliant way of life. For students with vision impairment, some forward-thinking is essential to make sure they have the right tools to ease into this transition. The good news is that modern technology and smartphones have helped to close the gap between students with disabilities and their peers, particularly in the form of apps. Here's our selection to get you started. The American Foundation for the Blind launched the official iPhone and Android notetaker, AccessNote. It works in collaboration with VoiceOver/TalkBack to create an easy-to-use and effective note-taking aid. Dictate messages, adding punctuation verbally, and receive it on screen instantly. Delivery options for this message include text, email, copy-and-paste and social media apps. This app stores voice notes, photographs and text, providing users with a medium to share them between multiple devices. Photographs are scanned for text using VoiceOver/TalkBack support too. This free app allows users to download purchased books from amazon.co.uk. Supportive features for blind and partially sighted people include large print, computer-generated speech and human narrators. 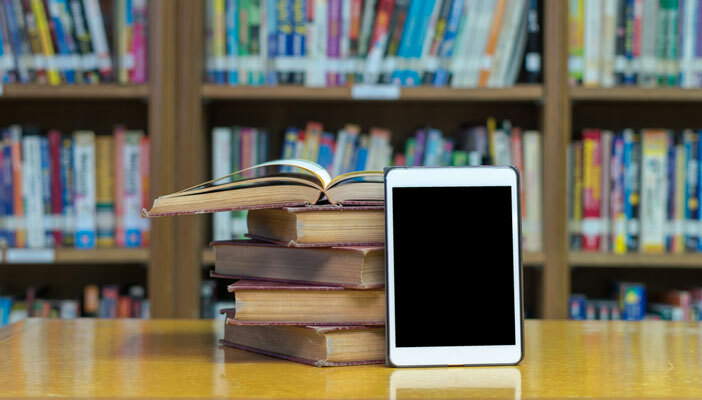 This app is available on iPhone and Android devices, providing easy access to a huge selection of audio books – including academic titles. Google Translate translates speech into a specified foreign language (there are over 100 to choose from). The app can also translate text in images instantly just by pointing the camera at it. This app is a financial commitment, but it promises to be “fast, accurate and efficient” when converting printed text into speech. It has a field of view report, automatic page detection and tilt control. It can read aloud hardcopy text from things such as books, menus and magazines, and it also displays text in a large font on screen. Fully accessible with VoiceOver, this app is an excellent tool for staying organised. It includes a notes area with reminders, a repeating alarm feature, a snooze option and a multi-use timer (most Android devices have a similar app factory installed). An additional feature for a small cost provides you with the ability to set interval timers for doing repetitive chores, which could be used to set revision breaks. The Braille Institute has launched a free iOS app called ViA (Visually Impaired Apps), which identifies compatible apps that are useful for people with sight loss. It enables users to sift through the 500,000 plus apps in the App Store and highlights those that were built with accessible functionality. Source: This article originally appeared on the AbilityNet website.